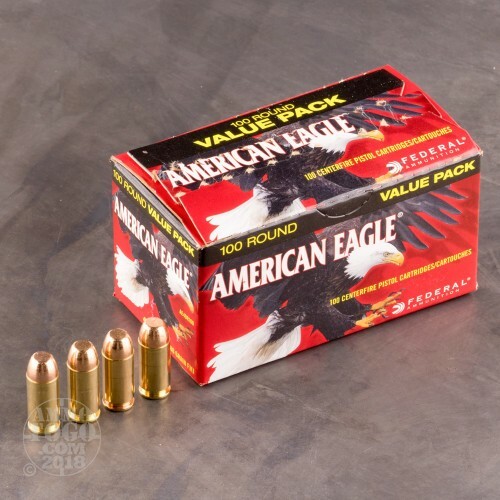 Fans of the flat-shooting .40 S&W will appreciate the low cost and reliable performance of this range load from Federal's American Eagle series. 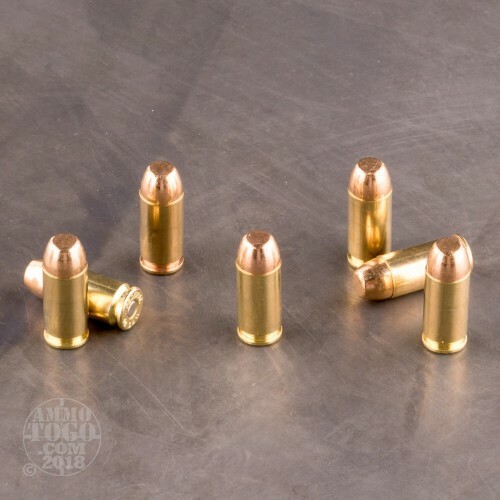 These cartridges fire a 180 grain full metal jacket bullet and deliver typical .40 Smith & Wesson ballistics with snappy recoil and superb short-range accuracy. 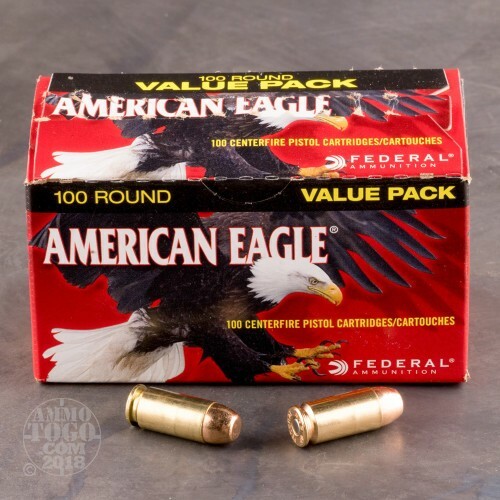 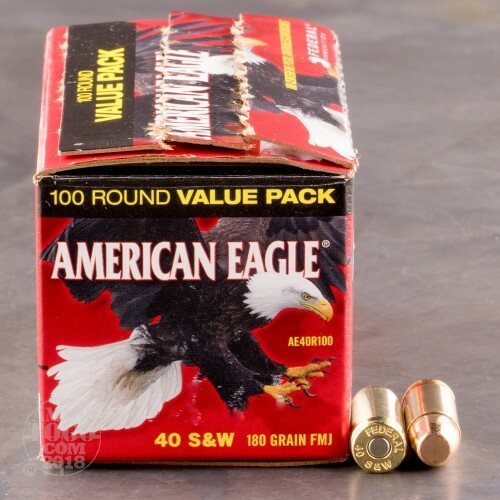 Federal ammo is loaded in the USA and uses non-corrosive primers and reloadable brass cases.